Coleraine have completed the signing of Mark Edgar. The teenage defender joins the Bannsiders on a two-and-a-half year contract from Blackburn Rovers. 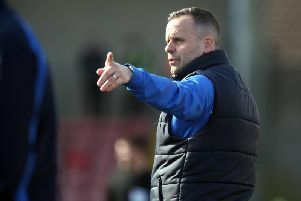 “I’m delighted to be able to add Mark to our squad,” said boss Oran Kearney. “He ticks all the boxes for us. He is a Coleraine lad, he’s young and he has bags of ability. “Mark felt he wasn’t getting enough football over in England so he has decided to come home in a bid to be playing regularly again. “He has been training with us over the last couple of weeks and he just oozes class.